What happens to you because you love what you do? 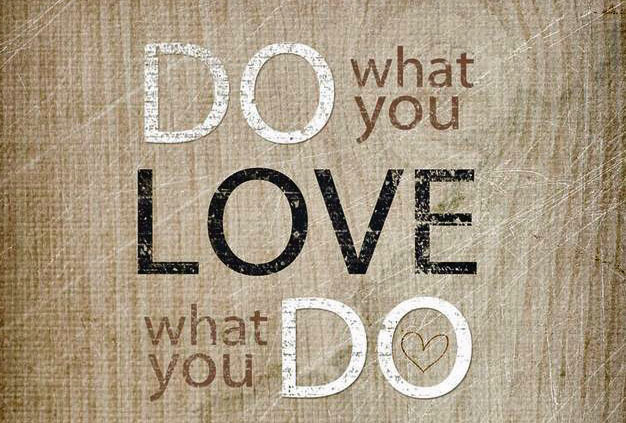 When you do what you love and love what you do, a greater difference happens in your life and in the lives of others. However, what happens when you do not love what you do? You have a lacking sense of purpose. You resent what you do. 1. You give your best and quality matters. 2. People notice that you are self-motivated. 3. Being better is your competitive advantage. 4. You focus on top priorities. 5. Happiness is a lifestyle not a corporate culture. 6. You contribute to a fun and healthy work place. 7. You are the attitude that you want to be around. 8. You provide valuable input for improvements. 9. You take ownership and responsibility for what you do. 10. You want others to love what you love. 1. I know the cause that I’m passionate about is making a life-changing difference. 2. I love the people that I work with. 3. I believe in the power of Truth to use my life to be part of something bigger than me. I’m living a fulfilled life when I’m making a difference. This makes me happy!